Hip and lower back pain are common complaints among older adults and there is a wide range of underlying causes of hip and back pain. Other than the legs, the hips are the most important weight-bearing parts of the body that provide support and allows us to stand upright. The hip has to provide a large range of motion so that we can move in all directions, and this leads to soreness, pain and stiffness of hips and lower back. In this article, we will discuss the benefits of acupressure for relieving hip and back pain. Acupressure technique can be used effectively to relieve hip and back pain caused by muscle tension. It is also useful for other issues such as herniated discs, arthritis, compressed nerves and stiffness. There are a number of concerns that contribute to pain in the hip region and some factors can also worsen the pain that already exists. Age – One of the major factors that increase the risk of serious hip pain due to injuries is growing age. With progressing age, the self-healing powers of the body slacken and acupressure can be a welcome way of pain relief for back pain and hip pain in such as case. 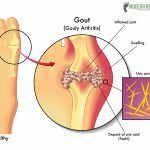 Strenuous physical activity – If you are an extremely active person or there has been a recent increase in the level of your physical activity; then it can put strain on your hips and legs and promote hip pain. Accidents and injuries – In many cases hip pain is a result of accidents and injuries. A sudden fall can lead to a fracture in the bones and lead to severe hip pain. Such conditions call for serious medical treatment. But recovery and improvement can be speed up with the help of acupressure. Health conditions – Certain health conditions such as chronic diseases like arthritis, lupus and diabetes or sprains and strains can also lead to hip pain. 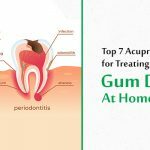 It is essential to find out the underlying cause of the pain in order to bring forth improvements in the condition and ensure lasting relief. Genetic conditions – Certain rare genetic conditions such as congenital deformities and muscular dystrophy can also increase discomfort in the hips and lower back. In most cases, hip and lower back pain are caused by an injury or fall, any chronic medical condition like arthritis or incorrect bio-mechanisms caused by problems with the foot, knee or pelvis alignment. Because hips and legs from a complex structure of bones, muscles, joints and ligaments, so the pain can spread quickly to other body parts. Here, we have mentioned 6 healing acupressure points for healing pain in the hip region. GB29 or Gallbladder 29 is a local acupressure point for relieving hip pain. It is also known as the Squatting Bone Hole and is located in the hip region, at the centre of the line connecting the great trochanter of the femur and the anterior iliac spine. This is the crossing point of the Gallbladder Meridian and the Yang Qiao Vessel. Administering pressure on this point is useful for treating inflammation in the hip joint, sciatica, muscle sprain, weakness and numbness of the hips. In addition, this point also aids in treating shoulder pain, spasms in thighs and lower abdominal pain. GB30 or Gallbladder 30 is also known as the Jumping Round point is another local acupressure point for hip pain relief. This is the crossing point of the Gall Bladder and the Urinary Bladder meridians. This point can be located by moving three-quarters into gluteal muscles from the middle of the sacrum. It is located between the sacrum and greater trochanter. Stimulating this point on both the hips helps in relieving pain in the buttocks, useful for sciatica, lower back pain, hip joint inflammation, muscle pains and spasms. It also helps in relieving leg pain, lumbar pain and hemiplegia. The GB31 or Gall Bladder 31 is an important acupressure point located on the thighs that are useful for relieving upper leg pain and hip pain. This point is also known as the Wind Market and it can be found on the side of the thigh, halfway between the hipbone and the knee. Stimulating this point on both thighs can help in balancing leg qi and relieve hip pain caused by sciatica and weakness and numbness of the hips. It is also useful for relieving skin disorders, leg muscle issues, post-stroke symptoms in lower limbs and ear problems. 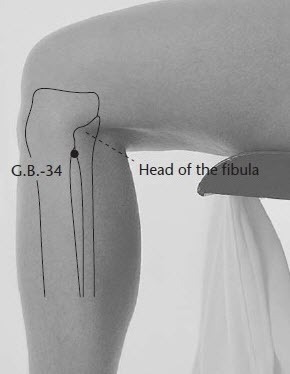 GB34 or Gallbladder 34 is another leg acupressure point that is extremely beneficial for relieving hip pain. It is also called the Yang Mound and it is situated on the side of the leg, right below the knee, slightly in front of the tip of the outer leg bone. Applying pressure to the point on both legs stimulates the leg qi, strengthens the weak hip muscles and reduces the pain caused by sciatica and inflammation of the hip joint. This point is also useful for treating shoulder pain, nausea and vomiting, jaundice and knee pain. B28 or Bladder 28 is a local acupressure point for hip pain that is located two chon apart on both sides of the spine, in level with the fifth lumbar vertebrae. This acupressure point is also known as the Bladder Shu and it is useful for alleviating sacral back and hip pain and sciatica. This point also aids in treating digestive disorders like constipation and diarrhoea, leg pain and stiffness in the lower back region. B48 or Bladder 48 is a local acupressure point for hip pain. In some meridian charts, this point can be numbered as B54. This point is also known as the Bladder Vitals and it is located three chon to the side of the sacrum, right in the middle of the gluteal muscles of the buttocks. This point can be very tender during hip pain, so stimulate it with care. This point is useful for relieving pain in buttocks and sacral region. It is also helpful for treating diabetes, diarrhoea and sciatica. The back covers a large area of the body and there are a number of problems that can cause back pain. Here are some of the common causes of back pain. Accidents and injuries – In some cases the patient is not able to recall the exact cause of back pain and in may be an after-effect of some past injury or accident. The injury may lie dormant for several months or even years and suddenly show its presence due to some extra exertion. Impairments and abnormalities of the back – Back pain may also be caused due to certain health issues such as herniated discs, pinched nerves, arthritis, muscle spasms or an abnormal curvature of the back. Medical treatment and even surgery may be required to correct these problems, but acupressure and reflexology for lower back pain can alleviate the pain to a great extent. Problem in other areas of the body – In certain cases the source of the pain may not the back at all. Organ dysfunction such as liver problems and gall bladder stones can promote back pain as an associated symptom. 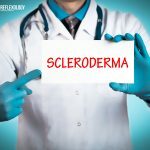 In such cases, medical diagnosis and treatment are extremely necessary. Lower back pain is a common problem faced by almost all of us. But thankfully in most cases, it is a temporary problem caused by overexertion or some strenuous activity. But for others, it can be a long-lasting problem caused by herniated discs, arthritis or abnormal curvature of the back. Whatever might be the reason; these 6 healing acupressure points will surely provide relief for back pain. Acupressure point B23 or Bladder 23 is also known as the Kidney Shu and this is one of the vital points of acupressure lower back pain. This point can be found on the inner bladder line, at the middle of the waist, the intermediate point between the rib cage and the hipbone, on the inner edge of the muscle group called erector spinae. Stimulating this acupressure point provides lasting relief from lower back pain by reducing muscle tension. It is also useful for treating all kidney-related issues, male and female sexual problems, earache and ear infections, cough and asthma. B47 or Bladder 47 is called the Will’s Chamber and this is yet another significant local point for acupuncture and acupressure treatments for lower back pain. This point is also numbered as B52 in some meridian charts. This point can be found on the outer bladder line, right at the middle of the waist on the other edge of the erector muscle group. Stimulating this point helps in relieving tension in the quadratus lumborum muscles which in turn reduces lower back pain. It is also a useful pressure point for treating depression and anxiety, breathing problems, vomiting and diarrhoea. B18 or Bladder 18 is an important acupressure point on the upper back which is useful for relieving the back pain that radiates to the upper part of the body. This point is also known as the Liver Shu and it is located on the inner bladder line, two chon below the inferior angle of the scapula, on the inner edge of the erector spinae muscle. This point works effectively in relieving muscle spasms in the lower traps and the muscle group present in the erector spinae. 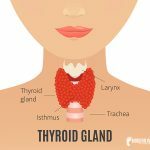 This is also the main point of all liver related conditions such as jaundice, hepatitis, cirrhosis, etc. It is useful for treating eye disorders, depression, irritability and nausea. 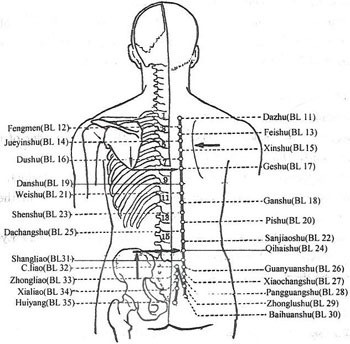 The B54 or Bladder 54 acupressure point is also numbered B40 in some meridian charts. This point is also called the Middle Crook and it is located in the middle of the crease in the back of the knee. Stimulating this point on both legs helps in relieving stiffness and lower back pain caused by herniated discs, and sciatica. It is also useful for controlling muscle spasms, knee pain and stiffness, leg pain, skin problems and heat conditions like heat stroke and heat exhaustion. 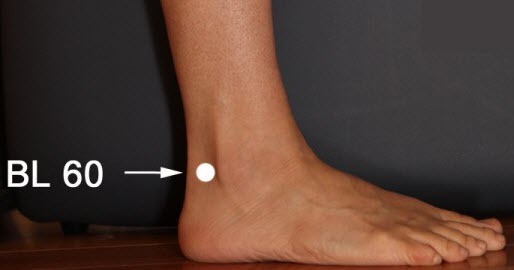 B60 or Bladder 60 is a leg acupressure point for lower back pain that is located at the midpoint between the Achilles tendon and the outer anklebone. This point is also called the Kunlun Mountains and applying pressure at this point on both legs helps in relieving stiffness and upper and lower back pain. It is also beneficial for treatment of neck pain, swelling and pain in the heels, headache and dizziness. This point can also induce labor; therefore, pregnant women should refrain from stimulating this point. 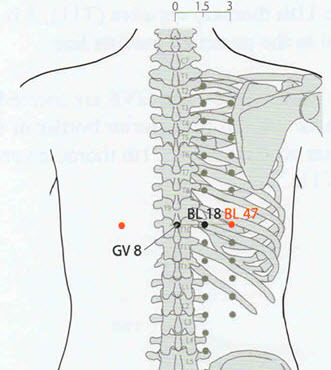 GV4 or Governing Vessel 4 is another important acupressure point for lower back pain which can be found between the vertebrae at the waistline at the same level as acupressure point Bladder 23. This point is also known as the Life Gate and it is most effective in relieving lumbar back pain. It is also used to treat weakness of knees, male sexual problems, diarrhoea, chronic fatigue, stress, earache and epilepsy. 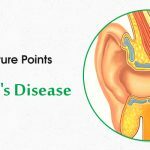 Try to use these acupressure points for relieving hip and back pain and use it for your loved ones to provide deep and lasting relief in a natural and holistic way. Excellent article. I am sufffering from canal stenosis and already had spine surgery of dorsal (major- 8 hrs) and lumbar (minor 1.5 hrs) in 2013. But now in again facing problem in lumbar region and advised surgery again. Hope your article would benefit me. In case you had any further suggestion I would immensely appreciate. Thank you for appreciating. We will certainly like to provide you with better work and more informed work. Your all articles on acu points are perfect in real treatment.i am reading and using your therapy of points on some my nearest.as I have learned and know the ppints for tratment, I apply your theory. It really giving relief to patients. Thanks for all. Great article. I am applying the points using the Magic Needle for hip pain and some lower back conditions. It’s helping. We are so glad it is helping!